The e21 Initiative has not only provided valuable leadership in shaping a 21st century electric system in Minnesota, it’s created opportunities for utilities in the Midwest and both US coasts to learn from the process. The Great Plains Institute (GPI), which co-convenes e21, has lent its facilitation abilities, knowledge of the utility industry, and experiences from the e21 process to assist other states and utilities as they navigate changes in utility business models. Such states and utilities are doing so by looking to modernize their grid, add more renewable energy or energy efficiency to their portfolios, and pursue other opportunities to better position them in the future. We expect this work to continue to grow in the future as more entities examine the evolving nature of the electricity industry. Many states and utilities are challenged with an electric distribution system that is changing rapidly from what it was built on, including one-way power flows from lowest-cost central generating stations and compensation based on kilowatt hour sales. Now, distributed energy, two-way energy flows, growing energy efficiency, declining or flat sales, and customers who want more control over their energy usage and generation sources have forced stakeholders to re-evaluate their energy systems. The response to this changing world has been very different, depending on the utility and state. Some states have undertaken wide-ranging reviews of their systems; others have not, and have dealt with changes as they arise through rate cases. Many utilities are looking to engage with their customers and regulators to prepare for a very different future; others have not. GPI has undertaken work in many settings, from large stakeholder processes to advising utilities and states about their choices and potential impacts of those choices. GPI, in conjunction with the Center for Energy and Environment, began the e21 Initiative process in Minnesota in 2014. e21 is unique in that it was not ordered by the Minnesota Public Utility Commission, the state legislature, or the governor’s office; instead, stakeholders, including the utilities, customer groups, third-party providers, state officials, and others met to take a comprehensive look at Minnesota’s energy system of the future. The work has consisted of three phases: Phase I involved both identifying a set of principles to guide the work, as well as developing an understanding of what the group believed to be the strengths and weaknesses of Minnesota’s system. Phase II took a more detailed look at three areas of importance: performance-based regulation, integrated resource planning, and grid modernization. White papers were issued for each issue, which you can read on the ‘Resources’ section of the e21 website. In the third phase, e21 is continuing stakeholder education and is also “learning by doing,” helping to explore potential pilot programs and other important issues. The e21 group or subsets of stakeholders have explored time of use rates, electric vehicles, demand response, and performance-based regulation. Because of the success of e21, GPI has been called on to assist with and talk about grid modernization efforts and the changing utility business model in a variety of forums throughout the country. Below are some examples of this work. In 2017, Rhode Island Governor Gina Raimondo asked state agencies to design a new regulatory framework to respond to the changing conditions in the electric distribution system. Power Sector Transformation was initiated by the Rhode Island Public Utilities Commission (PUC), the Division of Public Utilities and Carriers (Division), and the Office of Energy Resources (OER), and involved a six-month process to both learn about changes in the distribution system, and develop recommendations going forward. 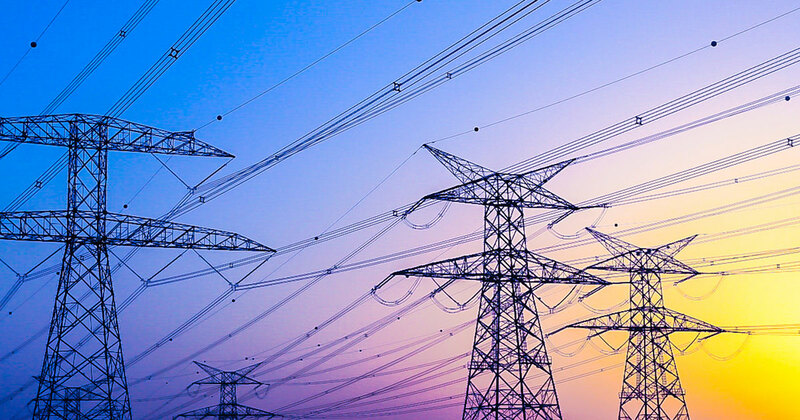 The process involved a series of public meetings on each of four topics: distribution system planning, utility business model, beneficial electrification, and grid connectivity and meter functionality. Experts from Rhode Island and across the country were brought in to determine what is happening around the US, but also what makes sense for Rhode Island in the future. In November, the Division and OER issued a report outlining the material that was gathered, comments from stakeholders, and recommendations by the state agencies. The PUC did not take part in the final report, as they may rule on issues in the report coming before them. The report, stakeholder comments, and videos of the public meetings can all be found on the Rhode Island PUC’s website. GPI, in conjunction with the Regulatory Assistance Project, provided services to the Power Sector Transformation process, including setting agendas for the public meetings, bringing in experts to present at the meetings, assistance with the report preparation, and counsel to the state agencies. The state’s lone utility, National Grid, filed a rate case shortly after release of the Power Sector Transformation’s November report. Some of the recommendations from the report were addressed in the rate case, others were not; going forward, the Division and OER will try to determine how other recommendations from the report can be accomplished. The agencies are interested in our assistance with this effort. In 2015, Madison Gas and Electric (MGE) in Wisconsin brought GPI in to help develop pilot programs to provide additional customer choices and encourage energy efficiency. Starting in 2015, GPI worked with MGE, Wisconsin Citizens Utility Board, and Clean Wisconsin to develop principles by which any potential pilot programs would be judged. MGE followed with extensive customer focus groups and surveys to better understand customer wishes for additional programs and rate designs. In 2018, the three entities began working on several potential pilot programs, which are still in development. GPI facilitated the working group meetings, provided education for the participants about the utility business model and grid modernization efforts throughout the country, and issued a report after the principles were developed. This process is expected to continue with pilot proposals going to the Public Service Commission of Wisconsin, which must rule on possible changes. Work with the Midwestern Governors Association to develop and facilitate two series of webinars and in-person meetings that explored grid modernization issues. GPI has also presented to the National Governors Association, which is working on the utility business model, and provided advice to a number of other states, utilities, and other entities that are looking at these issues. Assistance to a major utility as they began participating in their state’s grid modernization process. The legislatively-inspired process directed the state’s PUC to investigate issues concerning the changing utility system, including technology changes, policy drivers, obligations, and benefits relating to utilities, customer-focused issues, industry trends, and other related issues. The PUC is empowered to make recommendations to the legislature and to make changes authorized by their enabling statutes. GPI presented to associates of the utility and their board concerning trends in the electric industry around the country, how similar processes have operated in other states, key issues being addressed, and the different ways these issues can be addressed. We also assisted the utility in developing comments. Assistance to a state PUC in its work to better understand grid modernization and utility business model issues, and to assist the state as it prepares to move forward with recommendations. GPI expects efforts surrounding grid modernization and utility business model will continue to grow in the future, as states and utilities take additional notice of the efforts in jurisdictions such as Rhode Island, New York, Hawaii, Ohio, Illinois, Oregon and many others. Doug Scott is the vice president for electricity and efficiency at the Great Plains Institute and helps lead the e21 Initiative. Interested in learning about e21 related news and events? Sign up for our newsletter.